"SMS to Desktop note" is a Android widget dedicated to the use of small text notes put directly on your phone, or your tablet, home screen desktop. You can create some notes yourself, and others can be provided directly by your own contacts SMSes. With this widget app, you can, quickly and easily, create, modify, delete or reuse your small text notes, and so, best of all, your own contacts can also provide you this kind of notes, by the simple way of sending a SMS to your phone ! You got an idea ? You want to quickly write it? No app to open. Want to be reminded of a note content on your screen every day ? A few less steps. A friend wants you to remind of something ? One SMS he send to you will do it, and then you will see it directly on your screen (and your friend doesn’t even need to download this app). Want to share or transform a text note in something else ? Options are available, even Twitter ! Originally, I conceived this solution because I was not satisfied with the desktop notes applications for Android seen on Google Play. Like many people, I downloaded some famous apps on the subject, to discover that many simple operations were, most of the time, painful. I came to the conclusion that I really needed an phone app that could replace the little stack of hand written notes I had in my pocket a few years back, manage then conveniently, and, maybe, I could also let other people put some other notes in my pocket or I could share my small notes with them ! If, like me, you want to do this kind of operations quickly, maybe this app will help you. IMPORTANT : "SMS to Desktop note" is an Android widget, not a common Android app ! SO, IT’S REALLY IMPORTANT TO NOTE that, once "SMS to Desktop note" is installed on your phone or your tablet, you will not see an icon in the apps screen. You have to install one of the app widgets on the screen first. To do that, on most android versions, just press and hold on any empty space on your home screen (you'll need to hold for 2-3 seconds). You'll then notice the "Widgets" option in a pop-up window. First, click on this widget option and then click on one of ”SMS to Desktop note” widgets to put it on your smartphone desktop. That's it, you're done ! On some Android 4.x and versions above, you will have alternately to press the center launch icon in the dock to access the widgets window, where you will find one of "SMS to Desktop note" widgets to put it on the desktop. Once a widget is in place on the desktop, you have now a grey area, an “empty” space for creating, now or later, a text note to you can use at will, even erase it in a one tap operation if you wish (no need to put your widget in the trash bin), or resize it quickly (if your phone uses Android 4.x or a version above). Press the grey area : you will be able to start providing text or send it through voice input. Push the update button and you will have finished the first step. I suggest you to read now the tutorial, which explains in details what you can do with the app. a free trial version, with full functionalities enabled but note texts are limited to 17 characters. a full functional paid version, with no limitations or ads. SMS to Desktop note has been tested on Android 2.3.x, 3.x, 4.x, 5.x, 6.x, 7.x devices. Tests on Android 8.x are currently in progress. You will not find theses permissions in the full functional paid version. 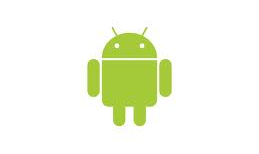 Download the latest version of this app on Google Play, the new incarnation of the Android Market. About downloading the paid version : please remember that Google is managing the whole purchase / download / billing process on Google Play, and we have no control on what is going on there. Though, once the app is installed on your phone, we have 100% responsibility to make it work as advertised. And after the download ? I suggest you to read the tutorial, which explain in details what you can do with the app. Improvements and new features will come with future versions (I already have some ideas to design), but do not hesitate to contact me if you have ideas that could improve this app.